When buying real estate, we usually want our home to be in near-perfect condition. However, the truth is, we could be paying top dollar for a home and still finds something wrong with it in time as it begins to settle and age. Maintenance and upkeep are part of being a homeowner. Perhaps more than any other means of upkeep, ensuring that your home’s roof is in good condition is one way to keep you and your family safe and your home in the best condition possible. A functional roof can also keep the elements out of your home. One of the most common signs of a roof that needs to be replaced soon is if it’s leaking. While some may believe a leaky roof simply needs to be patched up, keep in mind that if one or some parts of your roof are leaking, other parts of your roof might also leak in the near future. That said, getting your entire roof replaced might be the best option. You can get an estimate of how much that might cost from this roofing calculator. People usually wait until their shingles are curling or cupping before they even consider getting a new roof, but often, they don’t immediately act on it. Curling shingles can be fixed with roofing sealant, but generally, this is a sign that your roof might be getting poor ventilation or was improperly installed. A few cracked shingles may seem like no big deal, but in terms of keeping your home safe, it is a big deal; it signifies that your shingles are nearing the end of their course. Besides visible cracks, you’ll know your shingles are cracking if there are pieces of shingles or dark, sand-like granules on your roof and possibly in your gutters, landscape, and other areas of your property. Usually, people think that scraping off the moss from their roof is a quick fix. This isn’t the case; the moss will just grow back with time. What a roof with moss is really trying to tell you is that your roof might be getting too moist. As a result, this can damage your shingles, and in turn, increase the chance of Mother Nature entering your home. Shingles are both a functional and aesthetic part of your home. With missing shingles, you’re not just risking an ugly roof; you’re risking wind and moisture entering your home, and as a result, higher bills. Sure, you can replace these missing shingles, but if some are falling off, others might be loosening up as well. 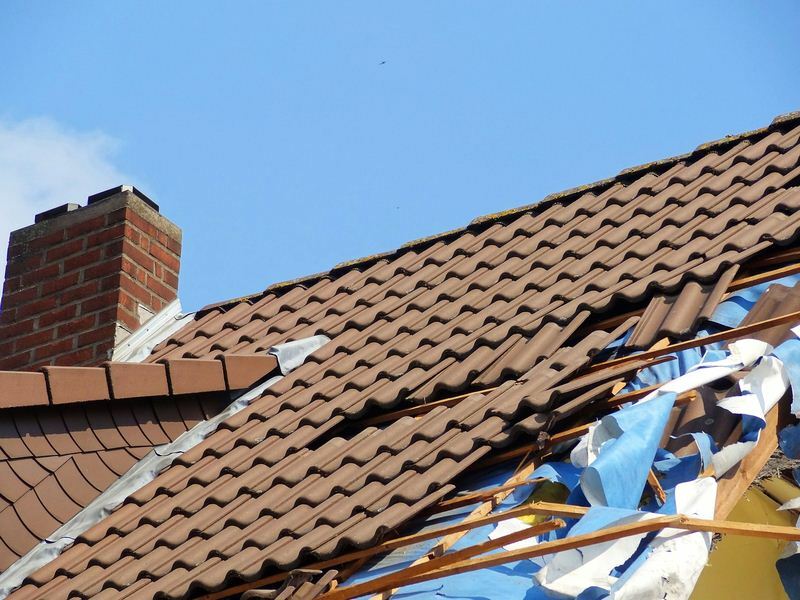 If your roof doesn’t have the previous symptoms, it might still need to be replaced. If your roof is 20-years-old or older, having someone come out and check your roof would be wise. Some roofs claim to last 30 years or longer, but in a time where materials are cheap and manufacturers want the most bang for their buck, checking your two-decade-old roof won’t hurt. Still, have questions or concerns about replacing your roof? You can learn more from www.dennisandsonscontracting.com. While we tend to be too busy at times to remember to tend to the maintenance of our homes, the proper upkeep is incredibly important. In terms of replacing a roof, there are many symptoms that scream it’s time for a replacement from cracked shingles to roof leaks. Having your roof checked out at these first signs can help save you from future trouble. Gardening Composting: Why and What?